Every year, Oracle founder Larry Ellison hosts a cocktail reception for startup founders at his San Francisco home. At the reception last Wednesday, Ellison shared some of the struggles Oracle faced in its early days. Once, Ellison says, Oracle was a week away from not being able to make payroll, as its first-ever customer took months to deliver its first check. Ellison also advised that tech companies need to be open to constant change and new technologies. At a market cap of $US182 billion, and a position as a pillar of Silicon Valley, it can be hard to believe that the tech giant Oracle struggled financially in its early years. 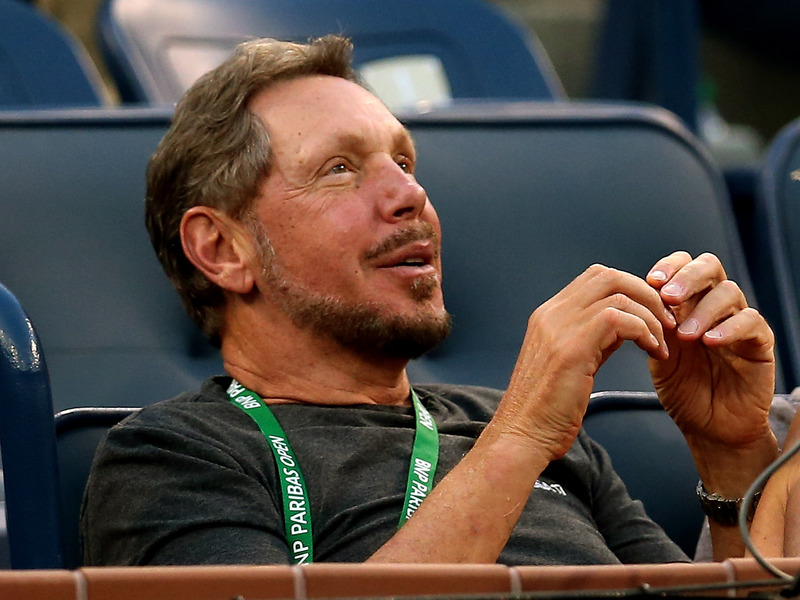 But Oracle founder and CTO Larry Ellison wants today’s startup founders to know that even the successful companies like his went through severe rough patches. Ellison hosts a cocktail reception to mentor startup founders each year. Last week, he hosted the founders of 22 startups at his San Francisco home – and eWeek was in attendance to report on the advice he gave. “We were about a week away from not being able to make payroll,” Ellison told the crowd of his early days at Oracle, as eWeek reports. At the time, Oracle had to wait about three months between the time it officially made an agreement with its first database client, and when it finally got the check. That client, incidentally, was the CIA. While Ellison and other engineers at Oracle were building its first databases, Oracle was still short on money. It had to make extra money through consulting and technology development for other Silicon Valley companies. Oracle is known as the inventor of the modern database, but originally, consulting paid the bills. As the consulting business made money, Ellison was able to task more people to building that first database. The lesson, Ellison said, is to balance doing whatever it takes to pay the bills with whatever it is that you actually want to do. Fast forwarding to today: After over 40 years, Oracle still remains a major player in the Silicon Valley today, competing in the cloud space with Amazon, Microsoft, Google and more. The key to Oracle’s continued relevance, Ellison told the founders in attendance, was not to stay stuck in old ways. In recent years, Oracle has been focusing on its autonomous, AI-powered database, and last week,Ellison announced the Oracle Generation 2 Cloud at the OpenWorld conference.